Merry Christmas and / or Happy Holidays! This was a Big week for my project. The Barnes & Noble appearance went exceedingly well! Because I already hit up my friends and relatives (and their friends and relatives) during the pre-order campaign, I had to rely mostly on my ability to convince total strangers who wandered by my table that the book was worth their time and 20 bucks. With a target rich environment and a week before Christmas crowd, I hit the sweet spot! Sold 80 copies of my hardcover. 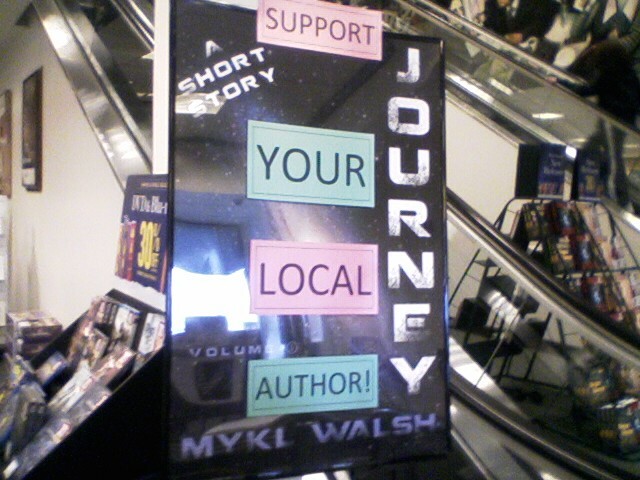 Store managers told me that it was the best-selling author appearance of the year and among the best over many years. (Obviously J.K. Rowling and Stephen King etc. don't visit the Salem, NH venue) But another writer attached to a bigger publisher was in the store at the same time and sold 12 copies. My passion and belief in my project was contagious and my conversion rate with the customers was unreal - around 70% of the people who talked to me ended up buying the book. The store manager and I hit it off very well and she gave me carte blanche permission to return for follow up appearances Any Time I want to. How crazy is that! I will now use this connection and recommendation to approach other B&N outlets within driving distance. Hoping to spend many upcoming Saturdays doing this and growing my outreach. I won't see the same size crowds or sell anywhere near as many books during these other store visits, but I'll walk away with them (hopefully) keeping a few copies in stock at each new location that I visit. Post links to http://www.secretagentman.org/ along with a short comment. Friend me and follow me, if you haven't already. As always; Thanks a Million for your awesome support! I'll keep you updated as we continue this exciting Journey! As previously mentioned, I'm appearing at Barnes & Noble in Salem, NH this Sunday afternoon from 1 to 3 pm. Most of my local supporters have already purchased the book, but I would still love it if you could stop by and help make this important event a success. I need to have a good enough showing to have a chance of ever being invited back. So for anyone in the area who already has the book, I would appreciate it if you would consider purchasing another one at the event - I will reimburse you for the purchase afterwards and you could keep it or gift it. The second item is that Inkshares is having it's first annual Review-a-thon! I am donating five $20 prizes that can be used to buy one of Inkshares books. Things are proceeding at an increasing rate with more news coming in. Very excited to report that I've just scored an author appearance / book signing at Barnes & Noble in Salem, NH on one of the highest foot-traffic days of the year! Sunday, December 20 from 1 to 3 PM! Stop by and say hello. Please help me spread the word in your social media! As Donald Trump would say - This is HUGE! (In case any of you don't know it by now, the Daniel Trask character in my book really is Donald Trump and that method-written story is absolutley True!) That hook is getting me the radio interviews! I can't stress enough the importance of having a decent amount of positive reviews on Amazon and Goodreads. Post a review this week and I will send you one of these cute puppies for Christmas (or whatever holiday you might celebrate) - while supplies last! The list isn't complete, because when distributors order books, I don't know what stores are originating the order. So next time you visit your local bookstore, please ask for it and let me know if they have it in stock and I will add that store to the list. Thanks again for ALL of your help! You peeps are such a KEY part of the team attempting to make this book a success! Your efforts are already showing results with increasing interest from stores and radio stations! Keep it up with likes, shares and reviews etc! and follow on Twitter https://twitter.com/RFSaunders where I just passed 1,000 followers! The BIG missing ingredient so far is Reviews, Reviews, Reviews! Amazon ....... Goodreads. 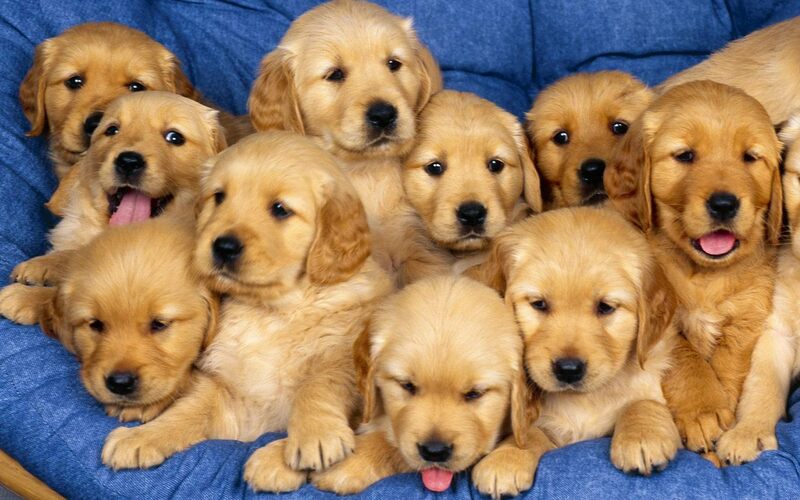 Do it soon (before I run out), because who wouldn't want a cute puppy! The sound quality wasn't that good because I used a cell-phone. They recommend always using a land-line, so I am having one installed next week for future interviews, if I'm lucky enough to get any. The eBook version of Journey has been released and everyone should have received a link to download it onto whatever device you use. I know how busy everyone gets this time of year, but I hope you are able to somehow squeeze in some time to read the book and possibly post a star rating or a review online. This afternoon I had my first media interview. I was on WRJN in Milwaukee, Wisconsin for 20 minutes of live air without a commercial. I have been apprehensive about how I would perform in these situations. The host was smooth and professional - I was not. I was a stammering idiot who talked too fast. I also got a little tongue tied when he asked a couple questions that I hadn't anticipated. But I got through it and realized that I can do this. I know that I will improve over time and will eventually become adequate, which is my goal. My publicist is pitching the book's connection to Donald Trump, which makes the story both interesting and topical. If I am able to become articulate enough doing these interviews, I should be able to book more of them. I was surprised at how they handle these things. I had imagined that the show host or a staff member would interview me first off air and we'd discuss what we would talk about. I don't expect most of these radio hosts to read the whole book before the interview but I thought there would be some pre-show prep. Basically what happened is that they recieve a one page pitch with a little background on the book and a few proposed questions. The station booked me with just two days notice. The host (Glen Klein) glances at the pitch sheet and calls me a minute before we go on air; we chat for 30 seconds while a song is playing on his station and then we go live and the host just wings it. It was kind of impressive how smooth he was with near zero preparation. As this process unfolds, it becomes more important that I have star ratings and reviews on Amazon and Goodreads. If people hear about the book in the media and go on Amazon to check it out - 99.9% of them will click away from it if they see that it doesn't have many ratings or reviews. That is why it so important that my supporters here on Inkshares become the first group to post knowledgeable reviews. One of the keys to the book's success is for the reviewers to know or believe that the Donald Trump, Dan Brown, Governor Weld, Columbine Memorial etc. stories really are true stories that I fictionalized. That is what will make this book stand out and so far the people reviewing it on Goodreads don't really know about this aspect. It just went live on Amazon so almost no one has reviewed it there yet. You are the people who got this book published and I hope that you also become the ambassadors who will write the early reviews that give the backstory some credibility. I don't expect any strangers to take my word for anything, but they will give credence to your thoughts. And I can't claim to be a so-called "Great Impostor" and then expect anyone to believe any claims to truth that I talk about. I would like to see ten Amazon reviews by the end of the weekend - who's up for that? Here's the link to the PR material that relates the fiction to the real-life episodes. And once again, here are the links to the book's page on Amazon and Goodreads where reviews can be placed. A few kind words or a couple of sentences are fine. If anyone wishes to do a longer review that's great, but that's above and beyond what I'm asking for. I still can't thank you good people enough for making this Journey possible for me! I will keep updating you on any developments so that you can continue to experience it with me. I apologize for the intrusion of a second update - but this is so important, I needed to separate it and post it as a stand alone announcement. "Mykl Walsh and Richard Saunders are looking for a few good men & women to volunteer to become "Secret Agents" for Journey, A Short Story. Each volunteer will receive an official Secret Agent number from 001 to 100. Numbers will be assigned sequentially on a first come, first served basis from the lowest number to the highest. I'm releasing this exclusively to my Inkshares supporters tonight, because you deserve to get the first shot to score the coolest numbers, like 001, 007 or 099, etc. You also happen to be the most qualified pool of potential applicants. In 24 hours, I'll post this on the Twitters and Facebooks. Everyone should have received their hardcover books by now and eBooks will be ready soon! If you ordered a hardcover and it hasn't been delievered yet, send an email to hello@inkshares.com and tell them about it. If that doesn't get the issue resolved, email me at rsaunders@anexpub.com and I'll make sure you get your book, even if I have to mail it to you myself. Inkshares has announced that they are celebrating their one-year-anniversary. After thousands of projects were submitted, just 17 of those succeeded in winning a full-scale publishing contract this year. Due to YOUR incredible support, Journey is one of those lucky 17! Others have since won a deal, but those will be published next year. I'm very happy to have the title that closed out the year - Journey is "officially published" on December 1 and Inkshares next book won't come out until January. To celebrate, Inkshares is offering a BOGO Free deal on those 17 books until December 11. No matter how successful Inkshares becomes and even if they publish 10,000 authors, Journey will always be among that small select group published in the inaugural year. And who do I have to thank for that? It's YOU! Inkshares decided that it was so difficult for most entries to break through that they have amended their program and added a "Light Publishing" option (click on the word "Light") where the bar wasn't set so high. Those winners wouldn't get the full treatment, editing and marketing support or perks that came with the deal I won, but at least they can get published. They recently opened their first real bookstore in Seattle. From their inventory of 8 million print books, they carefully selected 6,000 books to place in their brick & mortar store. Inkshares own Kris Calvin, author of One Murder More was chosen for that honor. That's good for Kris and good for the whole Inkshares community - because it shows that Amazon views Inkshares in high enough regard to consider their titles for merited status. Anyway, I hope you are all well. Happy Thanksgiving! Inkshares has begun mailing out the first edition hardcover copies of the book to all of you wonderful supporters. You are the ones who made this happen and I can’t thank you enough! As you probably know; with a first time author and a startup publisher, it’s very difficult to get media attention and to convince bookstores to stock a title. It's even harder for fiction. Unless the author is famous or the publisher is one of the big names, the way a book takes off today is if it develops a small grassroots following that keeps growing. If you read the book and don’t like it, then I apologize for wasting your time. I won’t ask you to help me make it successful. I’ll even send you a refund if you want one. But if you do like it and want to continue to help it gain visibility; here’s what you can do. 1. Write a short but positive review on Goodreads and Amazon (click the links). Amazon won’t be accepting reviews until about two weeks from now, but Goodreads is already taking reviews. Goodreads has over 20 million members and is a very influential website. Posting positive reviews on both of these websites can really help a new author. If a new book generates a lot of good reviews, then Amazon and Goodreads will start recommending it to their customers. 2. Become an expert on this book. This is a complex project and you can help others understand it by explaining what makes it different and special. Many readers will become confused simply because there has never been a book like this and they don’t have anything to compare it to. I'm seeing this confused reaction already from my early Goodreads reviews and I pretty much expected this to happen - people will need to become educated on the complexities of my project before they can fully grasp it - some readers will follow up and clear their confusion, others will give up. I didn't write this as an easy summer read or brainless escape. This book isn't for everyone, it's for people who like to dig below the surface of complex situations. One repeat question I am getting from readers is “If this story is supposed to take place in an alternate universe, then why is it so similar to our own planet earth?” A good answer to this question can be found on the first page of this article from Scientific American (click the link). The Don Breen character in my book really is Dan Brown. Daniel Trask really is Donald Trump, Mark Bayliss is Mark Burnett and William Wilde is former governor Bill Weld. The stories I tell about these people and my interactions with them are TRUE. Some people (who know the truth) find this aspect of my work to be fascinating. Right now, the media won’t pay attention to this – they either can’t be bothered to look into it, or they think it sounds phony. But if enough people learn the truth and start talking about it and spreading the story (and the links) on social media, then the newspapers, magazines and television stations will eventually start to pay attention. (click here) This link supplies evidence that either proves my claims are true or at least that there is enough evidence to justify a closer look. I maintain that the more these claims get investigated, the better they look. So read the book and (if you like it) then please help it get some attention. Post a picture of yourself with the book online – leave a review on Goodreads and Amazon – tell your friends! Send this link (SecretAgentMan) out on social media along with your comments and the hashtag #secretagentman. This next suggestion is a longshot – but If you know someone who is famous, even if it is just a local celebrity; try and get a picture of them holding the book and post it online. Thanks again for being there for me when I asked! That is something I will always treasure – whether or not my book ever sells another copy! Greetings Journey supporters. The official release date for the hardcover and eBook is December 1 but everyone who pre-ordered the book will receive it by the middle of November. I've been giving away advance (paperback) copies at an influential website (Goodreads.com) and have seen mixed reviews, so far. Anything above a 3.5 average rating is considered pretty good and 5 star ratings at Goodreads are fairly rare. At Goodreads, One Star means they did not like it. Two Stars means if was "just OK". Three Stars = "I liked it"
Four Stars - "I Really Liked it"
Five Stars - "It was Amazing"
Amazon doesn't allow ratings and reviews until we get close to the release date. I am one of the authors of this book, so I expect you to take my author-bias into consideration here. As of the time of this writing, 90% of the ratings and reviews have come from those who won a Goodreads Giveaway. I appreciate all of the reviews & ratings of course, but I am especially attuned to the bad reviews (1 or 2 stars). I expect to learn the most from these and to be able to improve future volumes in this series, based on this valuable feedback. Upon analysis of these poor reviews, some things have stood out that I think everyone should be privy to. I’ve noticed a pattern in the bad reviews – it seems that many people enter the Goodreads Giveaway contest not because they are fans of the genre, but mostly because they like to win. I can’t say I blame them, I like to win also. However, I’m not sure it is in everyone’s interest for someone to review a book in a genre that they don’t like. I see that one of my two star reviews is from a reader who also gave “The Martian” by Andy Weir only two stars. She didn’t like the science in my book or Mr. Weir’s. She didn’t like having to “figure things out”. Andy Weir wrote a brilliantly entertaining book, and if someone can’t appreciate that work, they have no chance of liking my book, which is (I hate to admit) not as good. Another (one star) reviewer scolded me because I obviously didn’t know the meaning of the term “polygenic deviation”. She stated that since I didn’t know the science as good as she did, she stopped reading the book. This is pretty amusing because I invented the term “polygenic deviation” over 35 years ago. So, at least in this book, it means what I say it means. The book is fiction and takes place in an alternate universe on an “earthlike planet”, so even if I hadn’t coined that term myself, a fiction writer should be able to enjoy some license to play with the language without causing offense or indignation. Once again I was amused – I always thought that graduate level theoretical physics and rocket science were potentially difficult courses. I personally took courses like undergraduate philosophy as electives because I thought they were wicked easy! Anyway, the conclusion I have drawn from examining these poor reviews is that my book is NOT for everyone – but that fact doesn’t make it a “bad” book. Of course I already knew that, but it is good to see the supporting evidence come in from unbiased, honest reviewers and I thank them for that. For readers who are looking for light escapism in books that are easy-reads, then my book is not going to satisfy that need. If you don’t wish to have to think very hard and figure things out, this book is not for you. If your primary genre is romance novels, my book is not for you. But if you like science-fiction AND historical-fiction; if you like to start out confused and enjoy gradually figuring out what is going on, then this book might be something you will cherish. I find that gamers, people who are accustomed to complex layers of thought and those who like to solve puzzles seem to be my most fervent fans. There is a joy that many of us experience when we undertake a difficult read and eventually reach that aha! moment, when we get it. You can’t experience that joy in a novel where everything is handed to you and explained to you. So if you like to be intellectually challenged, this book might be something you will enjoy. There are many places in the book where my editors asked me to provide explanations. I declined because I believe that if the reader really wants to know more, they will investigate for themselves. For instance, you will come across a brief reference to “Rennes-le-Château, France”. Some readers will immediately understand the reference – others will just gloss over it – and still others will have their curiosity piqued and will Google it for more information. Those curiosity seekers are most like me and are probably my core-target audience. I wish that everyone would love my work, but know that is asking for the impossible. I will have to be satisfied that Some readers will love my work. If you took the time to read the book but failed to enjoy it, you have my most sincere apologies for wasting your time as I fully appreciate how valuable your time is. For those of you who have stayed with this review and are still reading, here’s a little bonus payoff. All of the material in the “sneak peek” section of the novel, (which starts in the year 1994) are examples of my “method-writing” technique, which is described in the forward. What this means is that (with the exception of the supernatural aspects) all of these pages contain true stories which have been only slightly fictionalized. The Don Breen character is actually Dan Brown – and Daniel Trask really is Donald Trump, etc. These stories describe my real-life interactions with these famous personalities, while I was “acting out” my great impostor schtick; impersonating the protagonist, Lawrence Howard. It is this aspect that separates the book from everything else that has ever been done and is what makes this work groundbreaking – at least in my admittedly biased and perhaps not so humble opinion. Still, I realize it is not for everyone. I hope you like it.